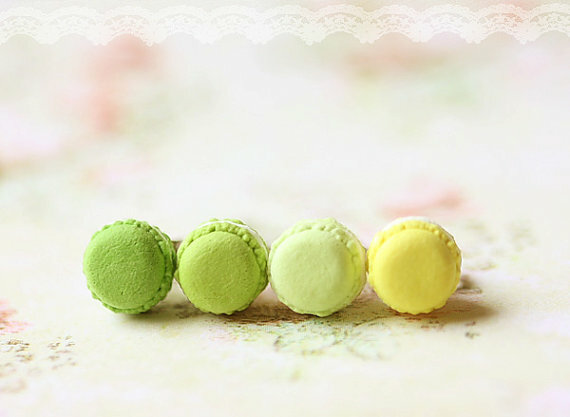 Food Earrings featuring French Macarons in Green and Yellow Series. Hand created by me, this series feature 4 lovely delicate shades of purple. I had great fun mixing these colours by hand. This listing is for 1 pair of earrings. You get to pick the shade of green or yellow that you like.